Every Fourth of July, I think of Dex Thaler, and every Fourth of July, I swoon. We’ve taken a little time off from naming a Literary Hunk of the Month (allowing our March Hunkness Champion of Hunks winner, Jamie Fraser, to enjoy his reign), but summer is here and the only thing more satisfying than a bright, hot day on the beach is a bright, hot hunk in the pages of a beach read. Since the Fourth of July weekend is such a significant one for Dex, I can think of no one better to wear the Literary Hunk of July crown. I fell in love with Dex more than twelve years ago when I first read Emily Giffin’s debut novel, Something Borrowed. Of course I had conflicted feelings about the whole thing because Dex is an engaged man having an affair with his fiancée’s lifelong best friend, and on anyone else, that would not be a good look. But the thing about Emily Giffin’s novels that I love so much is that her characters are usually in the throes of ethically questionable situations, but you end up loving them and understanding them and even rooting for them because they’re so beautifully drawn, complicated, and human. And that’s exactly what I love about Dex. Okay. Maybe I’ve gone on about his looks a little bit. But the thing that’s so dreamy about Dex is the very Dexness of him. The way that he hardly ever blinks and can always win a staring contest. The way he can go head-to-head with the world’s most intimidating Torts professor. The way he tips generously and refuses to use the Starbucks lingo. The way he so badly wants to live his life doing the right thing that it almost costs him his heart. And yes, I know, sleeping with your fiancée’s best friend does not a good person scream, but Dex is a good person, chock full of love and facing a heart-wrenching dilemma. It’s no wonder why Rachel, who has spent her entire life doing everything right and being a faithful friend, would risk everything for him. It’s no wonder why being alone with him in deserted New York City over Fourth of July weekend would make her feel like the luckiest girl in the world. Would I condone Dex and Rachel’s behavior in real life? Absolutely not, but that’s the joy of fiction. (And if you’ve read Something Borrowed, you know that Darcy, the fiancée, is no victim.) So after all these years, I still swoon over Dex, his eye freckle, and his fortitude in Torts class. After all these years, I can still pick up Something Borrowed and, like Rachel, fall head over heels in love. While Dex is at the heart of Something Borrowed, you won’t want to miss his appearances in Giffin’s novels Something Blue and Heart of the Matter. And what’s the perfect complement to a perfect beach read? A perfect rom-com! 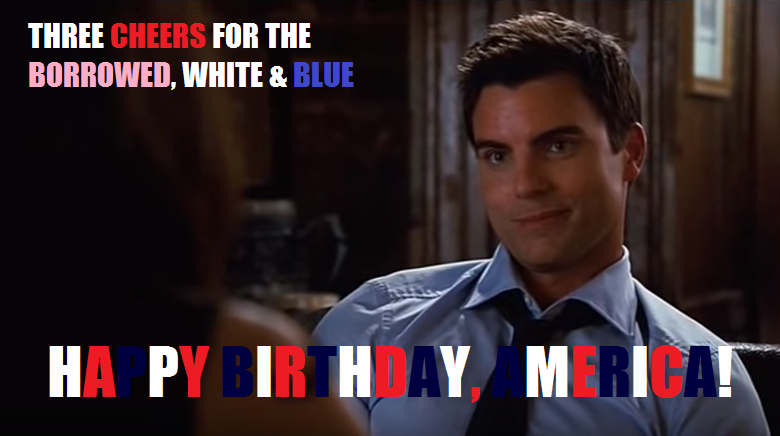 Dex is just as hunky on film as he is on the page in the 2011 adaptation of Something Borrowed, with the delicious Colin Egglesfield as our favorite hunk. 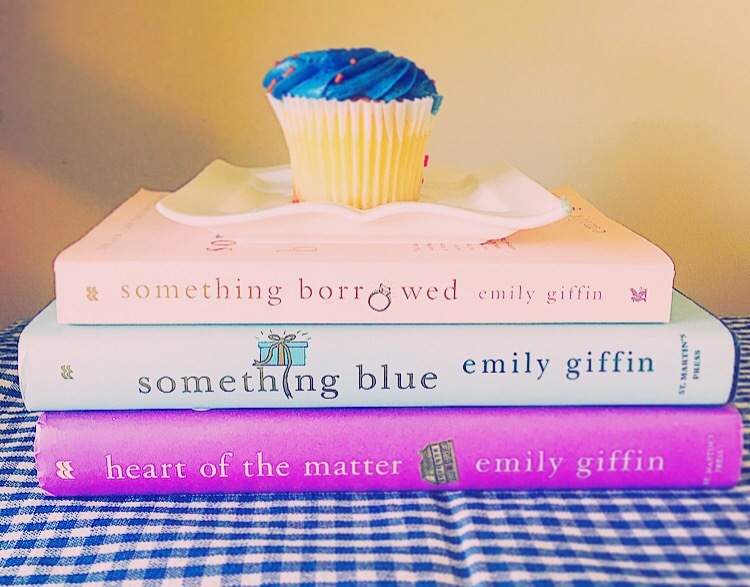 For more on Emily Giffin and her wonderful books, visit emilygiffin.com and follow her on Facebook, Twitter and Instagram!